Representatives from the horticultural industry have visited Viridor’s Plastics Recovery Facility in Rochester to discover more about the plastics recycling process and the demand for polypropylene for recycling. The visit took place on Wednesday 27 March and attendees included members of the HTA Nursery Working Group, plant pot manufacturers and representatives from the recycling charity RECOUP. RECOUP and the HTA are currently working on a campaign together to ensure local authorities accept non-black plant pots in their kerbside recycling schemes. This visit allowed those businesses in the sector working with taupe pots and other recycled/recyclable pots to see how the plastics recovery process works and to track the journey of plastic through the waste stream and back into circulation. Other attendees included Farplants, Bransford Webbs, Allensmore, Aeroplas, Soparco and Popplemann. The facility receives material from a variety of sources, but mainly through MRF’s through the country, and uses NIR scanners to identify the different plastic polymers and filters them out at each step. Viridor advised that the demand for non-black polypropylene material is high and that the future inclusion of plant pots in all kerbside recycling schemes could be a “welcomed development”. 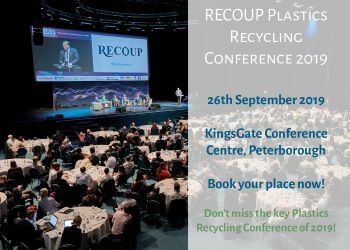 The day was organised by RECOUP, hosted by Viridor and supported by the HTA.